Summer has flown by like it does every year. We’ll be sad to see the bright dresses and sun-kissed waves go, but we are even more excited for a new wave of cool-weather looks! From edgy styles and cuts to seasonal beauty trends, we’re sharing some of the top looks to sport this fall. Braids have been trending for a while now, but you’ll start to see a more casual approach to them this fall. Semi-loose braided hair is a young, carefree look that’s easy to pull off and maintain. Braid your hair like you normally would, but be careful not to pull strands too tight. You want to make sure to leave some slack. For an edgier look, add faux strands of color that make your look pop! More daring cuts will make their debut this fall, including asymmetrical looks like the one shown here. 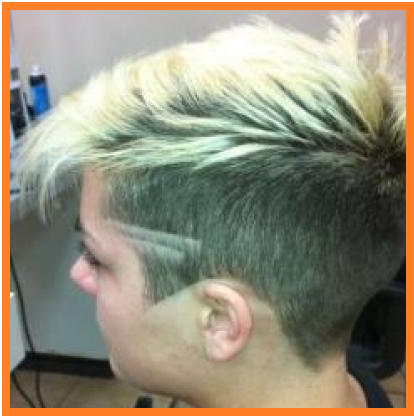 If you’re not ready to make such a bold commitment, ask your stylist to suggest a softer approach. An uneven bob gives you the drama of an asymmetrical haircut while keeping your look versatile. 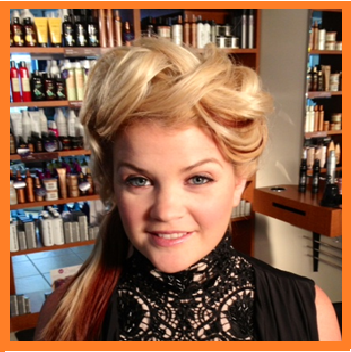 If you’re looking for an old Hollywood glam hairstyle, pin curls are the way to go this season. This elegant look is easier to achieve than you may expect and comes with plenty of interpretations. 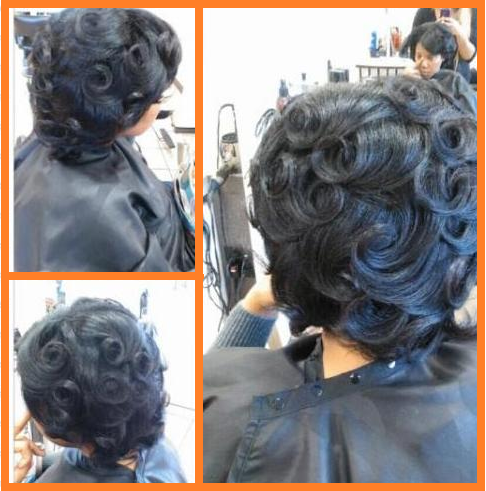 Talk to your hair stylist about the look that’s right for you – whether it’s tight and structured pin curls or loose and luxurious waves. Try a fuller eyebrow to go along with your new fall look. The natural shape and thickness of full eyebrows make for an organically elegant, high-fashion appearance. If yours are on the thin side, try taking a break from plucking to let them grow in, then carefully tweeze outlying hairs to complement your brow and eye shape. Use a natural tone blush or even a light bronzer to highlight the arch of your brow and draw attention to your eyes. Which fall trends are you looking forward to? Share your favorites in the comments below!